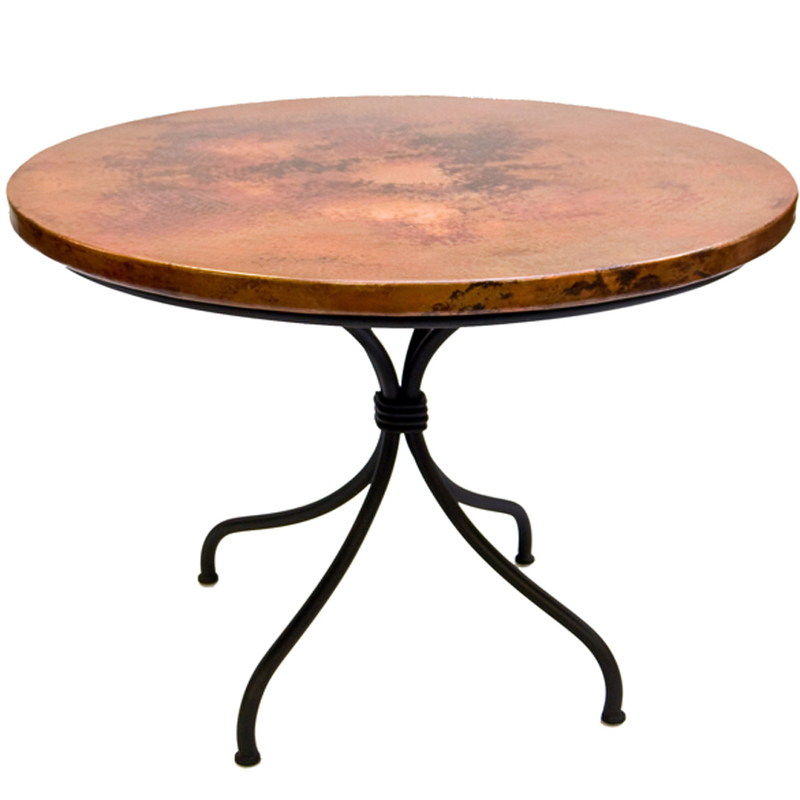 Italia Dining Table - 48"
Now you can really make your table your own! 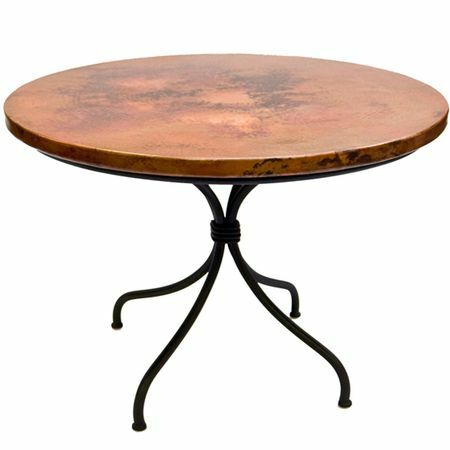 The wrought iron base of this Italia table is available in four fantastic finishes, and the forty-eight inch top comes in your choice of copper, glass, marble, pine or zinc. 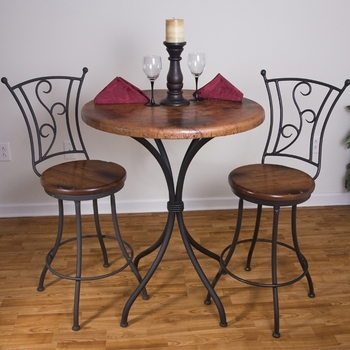 You won't find this at your neighborhood furniture retailer! 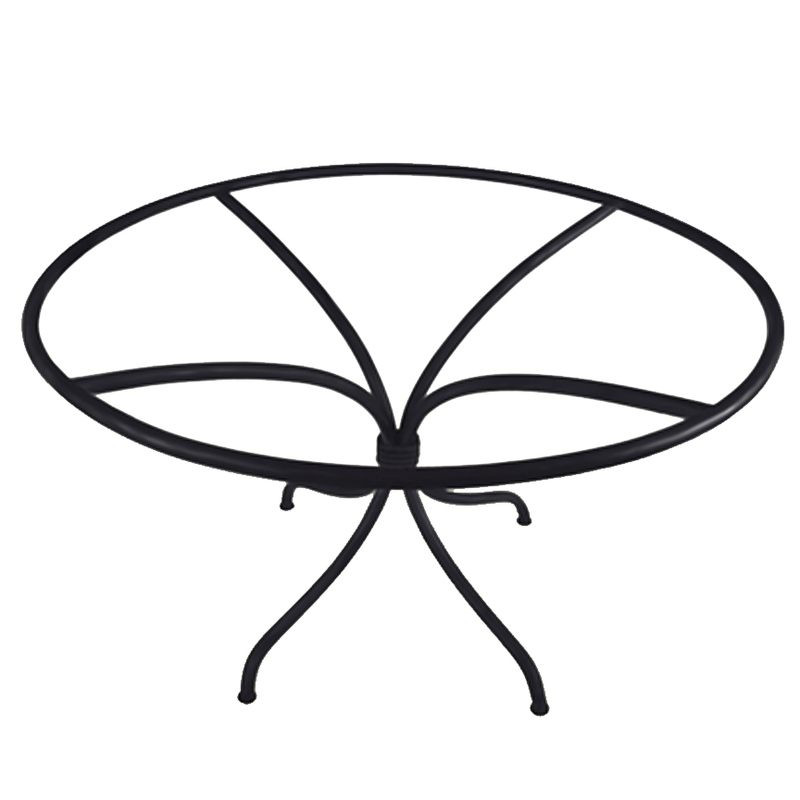 Contains: Iron base and your choice of a copper, glass, marble, pine or zinc table top. 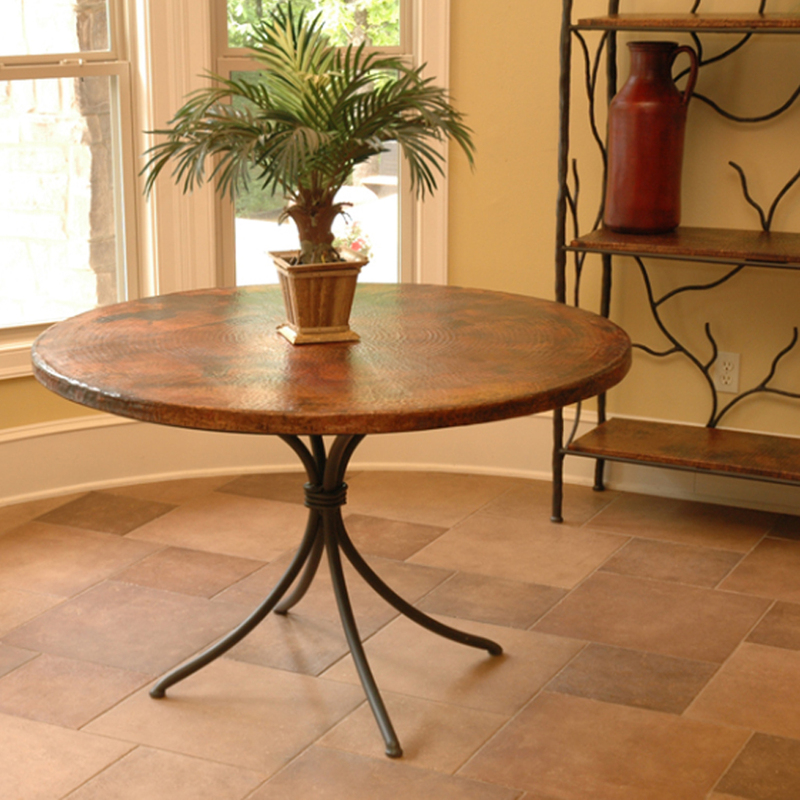 Glass and marble tops sit on the base. 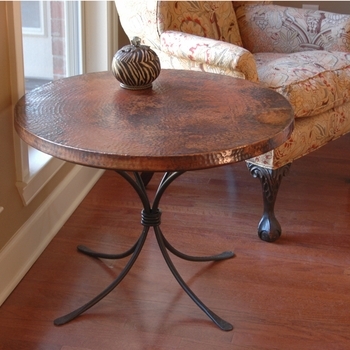 Pine, copper and zinc tops are fastened to the base with screws which are included.